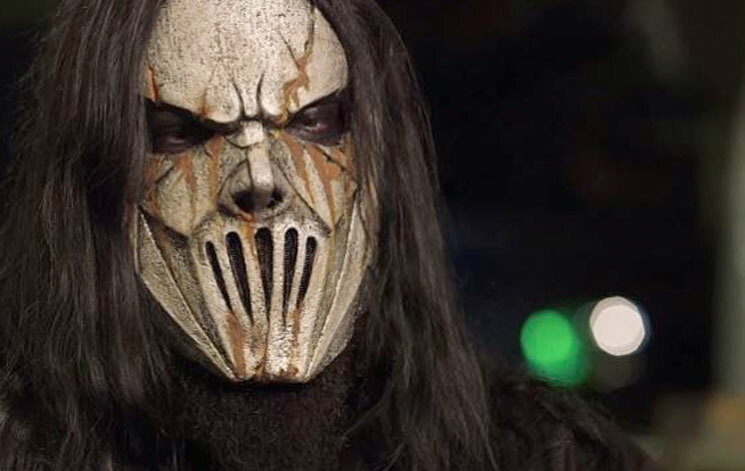 Slipknot have a very busy year of touring ahead of them, but if guitarist Mick Thomson (known within the group as "Number Seven") is to take part, he will first need to recover from a rather serious incident in which he was reportedly stabbed by his own brother. Des Moines, IA's KCCI 8 News reports that the 41-year-old was fighting with his 35-year-old brother Andrew Thomson in the front yard of the guitarist's house early this morning (March 11). It seems that there was an altercation inside the home, and it got physical once it spilled outside. Both men appeared to be intoxicated. They suffered serious injuries, and Mick was reportedly stabbed in the back of the head, but their wounds aren't life-threatening. The brothers were taken to hospital in separate ambulances, and no charges have been filed as of yet. It's unclear whether this will have any impact on Slipknot's plans for the year. The masked metal mongers haven't issued a statement on the incident, and reports from KCCI and the Des Moines Register make no mention of Thomson's membership in the band. See Slipknot's extensive tour schedule here.